Holidays. Paydays. Your birthday. They're all important in their own special ways. But which day of the year is the most important? 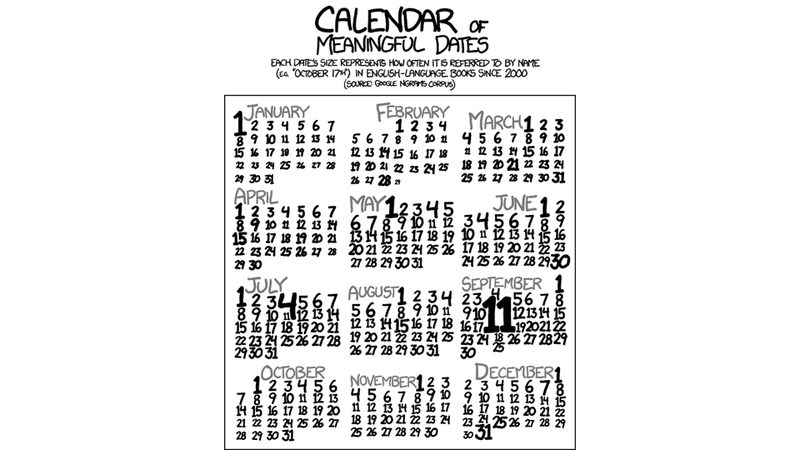 This handy calendar visualization from xkcd reveals all. The rankings are based on Google NGrams searches, which tell you how often given words or phrases are used in English-language books over a set period of time. In this case, since 200. The big winner—if you can call it that—here is, understandably, Sept. 11th, and the first days of months are surprisingly popular as well.